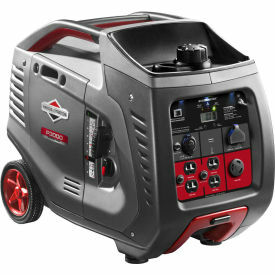 PowerSmart™ Series Technology Inverter technology that produces quiet, consistent power for your RV, Camping, Small Business, Tailgate or even home backup. 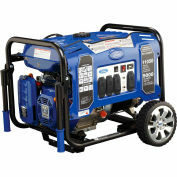 With this easy-to-transport portable generator, you can enjoy your electronics or small appliances with a quieter power solution compared to traditional camping generators. LCD Statstation™ Display Panel -- Easy-to-read LCD screen shows the amount of power being used, total unit hours, and maintenance reminders, including oil, air filter, and spark plug changes. Parallel Connector Port Connect two units together for more power. – First and Only of our Main 3kW Competitors! Overload Reset – no need to restart engine! Two Person Twin Handle Lift – First and Only!